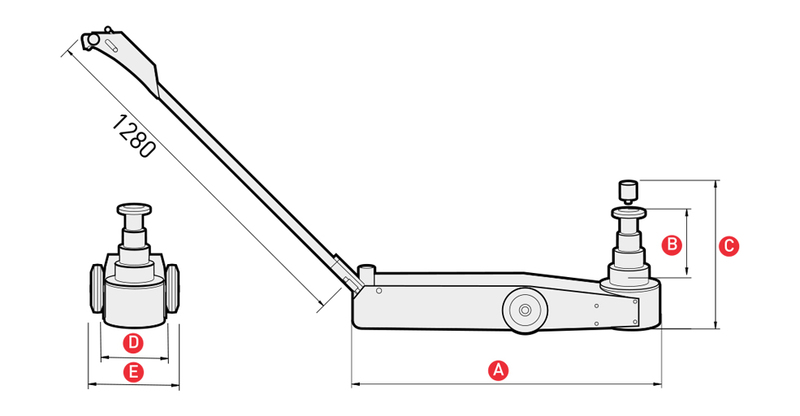 Hand lever locks in four different positions: horizontal, 45º, vertical or collapsed for easier transport. Single control switch. Handy and easy to use. A-5270 Workshop in-line air filter-regulator-lubricator. Optional. Maximum steel quality. Their chromium molybdenum vanadium composition strengthened by an anti-rust and anti-seizing treatment through liquid nitriding gives the jacks unbeatable resistance and durability properties.